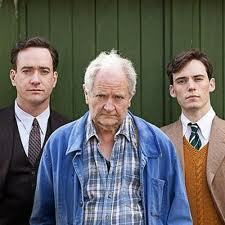 What an audacious ambition – to write the life of another, from the teenage years until the moment just before death. 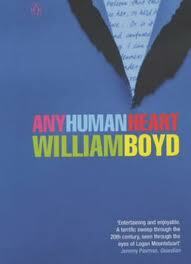 That’s what William Boyd has attemped with his novel ‘Any Human Heart’. Through a series of candid and frequent, if not exhaustive, journal entries we come to learn about the thoughts, feelings and events in Logan Mountstuart’s life: his uncertain academic path at university; his intellectual development and his writing; his loves, friendship, affairs, his wives and children; and finally, his old age and death. This novel is wonderfully evocative of a past that many of us know only from history books and films, but which we’ve never lived through. Placing a flesh-and-blood character at the centre of such pivotal times and places adds an enormous dimension, bringing them closer for us to not only see but to feel. Paris in the early 20th century, London during the blitz, New York during the volatile but economically booming years: this novel provides a vibrant and sustained insight into some of the 20th century’s most fascinating times and places, from the perspective of events during Logan Mountstuart’s life. And it’s the events, especially, that Logan (one feels comfortable calling him by his first name, since we come to know him so well) shares with his unintended, unconsidered, unknown audience. Despite the opportunity offered by the candid qualities of the journal format, the novel is essentially plot-driven rather than reflective or philosophical. Boyd takes seriously Henry James’ edict that one must not ‘attempt to know any human heart’. Instead, we come to know Logan through his actions and trace a path of highs and lows through his rich and busy life. But this isn’t a novel in which one can readily associate with the central character because Logan lived a life that is far from commonplace. This is not an exhaustive list, but a representative one: Logan quickly becomes a published author upon leaving Oxford. His intellectual curiosity and impatience with his home in England takes him to Paris and later Spain, where he meets a series of well-known cultural figures, including Ernest Hemingway, Pablo Picasso and most significantly for this novel, the abdicated former king, now Prince Edward VIII and his wife, Wallis Simpson. He witnesses the civil war in Spain; parachutes into Switzerland during World War II to aid the Allies; is captured as a spy and kept in a cell overlooking Lake Geneva; becomes an art dealer in New York during the 1960s; and eventually retires to France and dies there. We’re given a clue as to the kind of approach this novel takes in its treatment of two literary figures, Woolf and Hemingway. 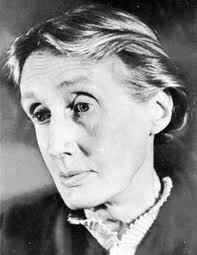 Woolf, whom Logan meets in England, arguably most successfully fulfils her Modernist ambitions in the short story ‘Kew Gardens’. In this story she takes the iconoclastic step of focussing, in minute detail and over a relatively prolonged period, on flowers growing in a flowerbed; the random flight of a dragonfly; and later on a snail trying to reach its goal. Against this seemingly unpromising background she sets the lives of several characters who congregate at different times around the flowerbeds in which the flowers and creatures are to be found. In doing so, she shows how these two different worlds – of the mundane, trivial world of the insects and those troubles of the characters who pass by unaware – are intimately connected. It is a story that seeks to introduce subtly drawn, ungilded, commonplace moments as a highly revealing subject for fiction – even if that revelation lacks the kind of narrative resolution that many short stories of the time possessed. Woolf’s writing, in this respect, represents an interest in the revelatory power of the commonplace, even banal, aspects of life. Its method is to emphasise the thoughtful, subtle, nuanced aspects of human thought and feeling. 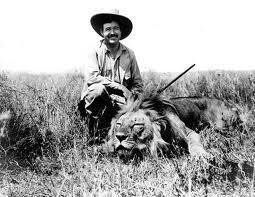 In contrast, Ernest Hemingway writes stories on grand themes, populated with heroes and anti-heroes, which often focus upon intense human suffering as painted on the broad canvas of war. His collection ‘In Our Time’, for example, bears the scars of war most notably, as men (rarely women) try to come to terms with lives destroyed by modern warfare. His ‘romantic egoism’ as Jay McInerney called it, is far removed from Woolf’s abnegation of the self in her Modernist writing. In the kind of simple description of what is a much more complex reality, Hemingway’s writing is characterised by activity at the margins of human experience; Woolf’s by contemplation of the commonplace and its amazing revelatory power. Woolf is lambasted in the novel as socially intimidating, elitist, almost inhuman (interestingly, a new biography asserts that Woolf was more politically engaged and less socially detached than might otherwise be thought). Hemingway, on the other hand, is celebrated as a man of action: he summons his car in war-torn Spain and accompanies Logan on a hunt to find a man with a mysterious gift (the gift is a notable collection of expensive paintings wrapped in a carpet, intended for a friend of Logan’s who dies: Logan keeps the paintings and sells them later). In turn, Boyd rejects the purely contemplative approach and follows the path of action. He answers the question ‘who would want to read a series of journals based upon an ordinary life?’ – by writing of a life full of incident, heroically lived. But in doing so, Boyd has created a sometimes old-fashioned story of derring do, which flirts with the extremes in human emotion and action and as a result lacks a handle which we might turn to open the door of Logan’s heart. At worst, he is dangerously close to farce by the time he writes Logan as an imprisoned spy: at the end of the novel we learn and remember much more about the events of his life than we do about how he feels or thought about them. Despite this, there are moments when such extremes of experience is thwarted or restrained. During his period as a journalist in Spain during the 1930s, Logan fires a machine gun at some fascists in an approaching car. Although they appear to take evasive action, their distance makes it impossible to tell. This notion of distance – that Logan skirts around but rarely penetrates the prized inner circle – goes some way in providing a connection between the reader and the life of Logan. But for some it might not be enough. This isn’t our life we watch stretched out over 80 odd years of intermittently completed journals: it’s the life of someone else, someone better connected, luckier (as the novel’s main thrust would have it) than our own. As such, perhaps it’s a critique on our contemporary society, sterile as it sits in front of computer screens, tracking the world in rolling news. It is a simple line to draw to connect Logan’s relationship with the novel’s attitude to the characters of Woolf and Hemingway and what this reveals about Boyd’s attitude to his chosen approach. It’s churlish, of course, to berate an author for writing about this or that, in this way or that, instead of another. And it’s a coarse analysis to suggest that Woolf writing was purely contemplative, Hemingway’s purely interested in action. Nevertheless, it is revealing that these two writers hold significantly different positions on the ways in which fiction is written and its ‘proper’ subject; and how their treatment in the novel reflects Boyd’s approach to capturing a life. There are memories, dreams, reflections – many of which appear close to the end of the novel and therefore Logan’s life, as befits a life already lived, then weighed and considered. The central idea of the novel – expressed in a rare foray into summarising in a work that is overwise joyously bereft of cod-psychology, armchair philosophy or home-spun contemplation – is that the value of your life is expressed as a sum of the the luck you have, good and bad. But this is not borne out by the book or Logan’s life. Rather, he continually takes the opportunities when offered to him: and when they are not, he seeks them. Some of those – like his art dealings – are the result of contacts he has made throughout his life. Lucky, yes. But the manner in which he deals with a troublesome colleague in the art world relies less on luck than it does with deliberate, carefully considered decision. Elsewhere, the luck he possesses is a result of who he knows. In a reduced analysis, he becomes a spy because he plays golf with James Bond author Ian Fleming; or a pawn in a radicalised anti-capitalist plot because he can no longer to afford not to eat dog food for dinner. This does Logan, and the reader, a disservice. It implies there is an essential quality to Logan which sees his life spread out before him, with an uncontrollable and random force of luck as the only influence, when in fact he makes his life what it is, just as we do. We are all subject to the whim of luck but even embracing such caprice we make our own fate; in this novel it is Logan’s fate to live an extraordinary life which we will either be impressed and inspired by, or find lethally out of reach. Charles Baudelaire wrote of his ‘Journaux Intimes’ (‘Intimate Journals’) that a work that simply captured the mind of a genius – unmediated, without explanation, without recourse to literary conventions – would necessarily be a masterpiece. In his journals, he tried to achieve just that. But it was a failed experiment: the work wasn’t a masterpiece. But it is instructive because it tells us that the unmediated life, captured verbatim, contains no less an authentic story. As JG Ballard wrote, you fictionalise to reach the truth. And the truth of this novel is that we do not – cannot – understand Logan Mountstuart’s very human heart, just as we cannot know the heart of anyone else, including our ourself.